Are you in need of compassionate professional advice about 'what to do' when your pet has passed away?. This is a specialist funeral service for all animals. Your animal friend is treated with the respect that he/she deserves. Our aim is to provide a dignified burial or cremation, with a 'pet/personal ceremony,at your request, as a fitting act of farewell. 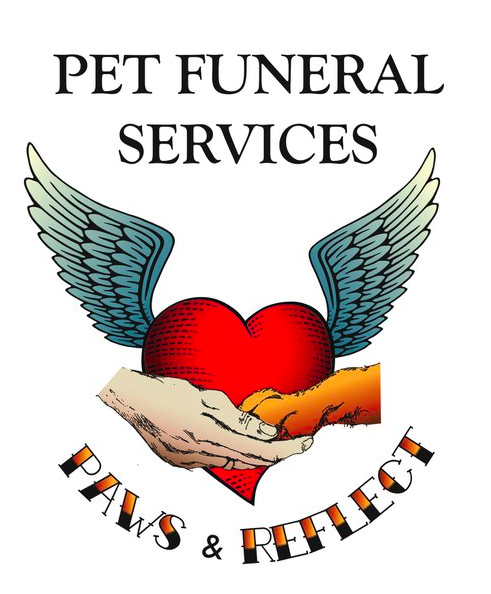 We are the only service that offers the same day return of your pet's ashes. We know waiting for up to 10 days for the return of your beloved pets ashes can be too long to wait. Our 'code of practice' and ethical standards are very high, therefore we ensure individual pet burial or cremation. It is important for you to know that your pet's remains are treated with the same concern and care that you gave your pet during their life. Collection, Transport, Cremation, Burial and/or Ceremony, Grief and Pet Loss Resources.